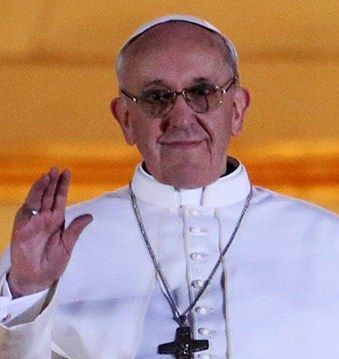 On 13 March 2013 a Roman Catholic cardinal from Argentina, Jorge Mario Bergoglio, was elected by his fellow-cardinals as the new pope of Rome. He took the name of Francis I. His election is full of deep significance, and will have far-reaching, indeed global, ramifications. There is so much behind the choice of this man. But first and foremost is this fact: Jorge Bergoglio, Francis I, is a member of the Jesuit Order! He is in fact the first openly acknowledged Jesuit to ever become pope of Rome! And nothing, nothing whatsoever, about the election of this man is more significant than this. For centuries, the Jesuits have controlled the Roman Catholic institution. They are the real power behind the papal throne. This is a fact so certain that the Jesuit General, the man in charge of the Order worldwide, is known within Roman Catholic circles as “the black pope.” Not because he is a black man, for he is not, but because he is the shadow pope of Rome, the real power behind the scenes. 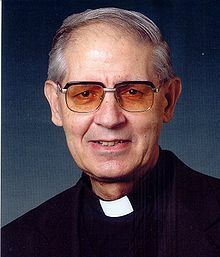 The present Jesuit General is Adolfo Nicolás, and I have written about him before. The Jesuits have always operated behind the scenes, secretly, furtively, pulling the strings of power where few could see them. Theirs has always been the world of cloak-and-dagger. This has suited their purposes. That they have now seen fit to boldly come out and appoint one of their own, openly, as the pope of Rome, indicates that they believe the times call for such an appointment. They believe none but a Jesuit can lead the Roman Catholic institution through the troubled waters ahead. What an extraordinary situation! A Roman pontiff, supposedly at the pinnacle of power within the Roman Catholic institution, and yet, as a Jesuit, actually under his General! A Roman pontiff, believed by Papists to be the Vicar of Christ, “Christ Himself under the veil of the flesh”, and believed to be infallible when he pronounces ex cathedra on matters of faith and morals, who is a Jesuit under his General, and who sees in his General, not a fallible man, but Christ Himself! Even though all popes for centuries have had to obey the Jesuit General and lived in fear of him, never before has a Jesuit been openly elevated to that position, a man who has taken a vow to obey his General above all others, and at all times! The Jesuits are now in total control of the Vatican, and of the Roman Catholic institution worldwide. These are extraordinary times indeed. Even the speed with which the new pope was chosen is indicative of the extraordinary nature of these happenings.